What's the difference between adjusting a photo's exposure versus its brightness? I created a virtual copy of a photo. The original's exposure was increased 1 stop. The other got an increase in brightness from 50 to 100. Flipping back and forth between the photos, the photos appear to be almost identical and their histograms are almost the same. The colors are the same, except for a very small difference in brighter blues on the photo that saw increased exposure. Side by side, you probably wouldn't be able to find differences, but very small differences are noticeable when you quickly flip the images back and forth. Exposure has a stronger effect on the highlights. 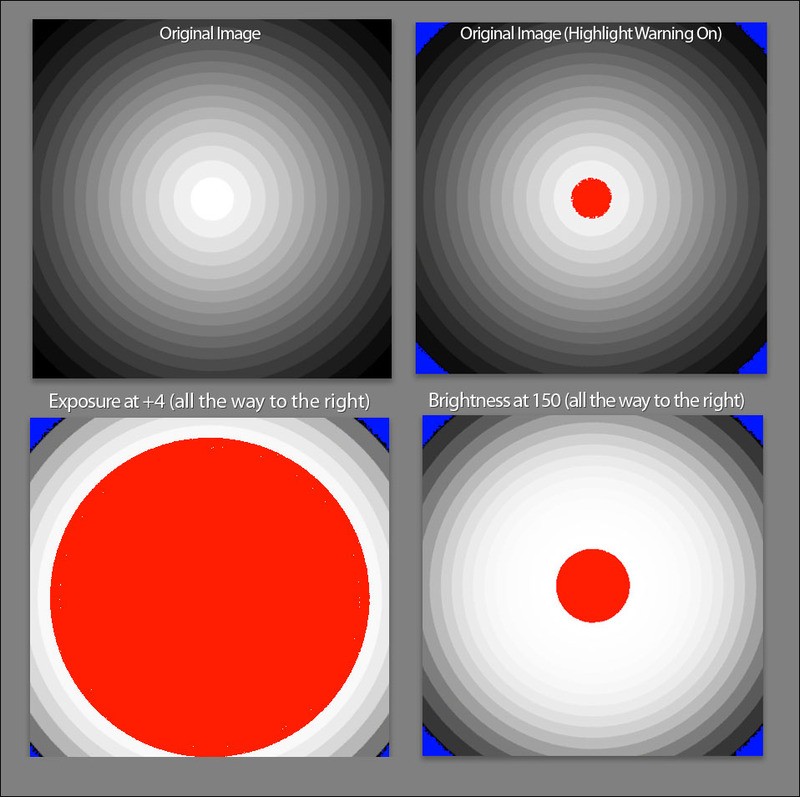 Brightness has a stronger effect on the midtones. Set the overall tonal scale by setting Exposure, Recovery, and Blacks. Then set the overall image brightness. Large brightness adjustments can affect shadow or highlight clipping, so you may want to readjust the Exposure, Recovery or Blacks slider after adjusting brightness. Increasing the Brightness tries to preserve the highlights while increasing Exposure will scale everything. The exposure control stretches the histogram in a linear way, so it will affect the brightest colors the most. The brightness control affects the middle range more, so that you can make an image brighter without affecting the brightest colors too much. In the image where you increased the exposure, you see that the light blue color is brighter. In the image where you increates the brightness, the light blue was not affected as much. Not the answer you're looking for? Browse other questions tagged exposure photo-editing lightroom-3 brightness or ask your own question. How do you use dodge and burn in post-process to enhance a photograph? What, technically, is happening when one adjusts the 'Exposure' setting in a raw editor?